It seems to me that there is no woman in the world who had never dreamt to be the happy owner of the functional and cozy kitchen. 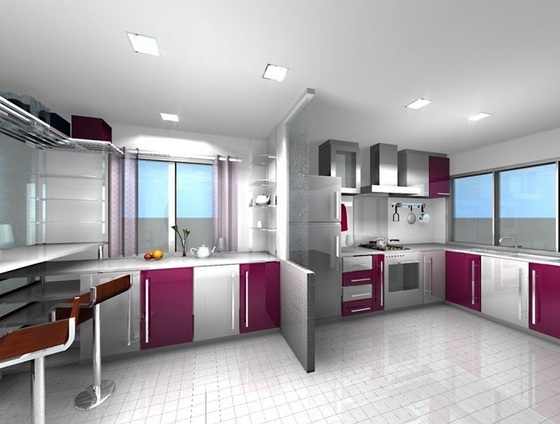 In spite of the fact that modern kitchens are generally small and non-standard, it is always possible to approach to the question of interesting interior design thoroughly, and some time later you will be able to declare with confidence that you have the coziest kitchen. You will have an opportunity to spend time pleasantly with your family in your modern cozy kitchen and also to receive guests at any time. 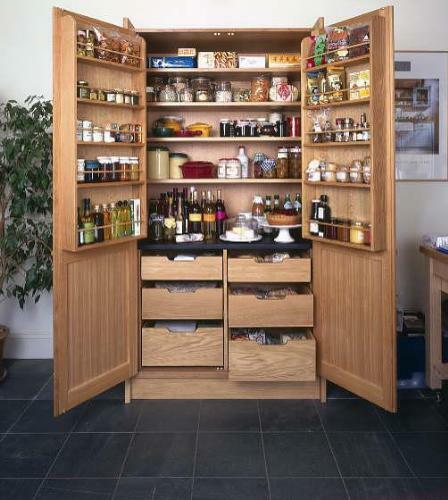 Some people think that the cozy kitchen is the room containing a set of wooden partitions, the illuminated lockers from natural materials, color scores of unambiguously warm shades in the interior. Interesting elements of a decor should be there, such as colorful tacks or a bright chandelier. 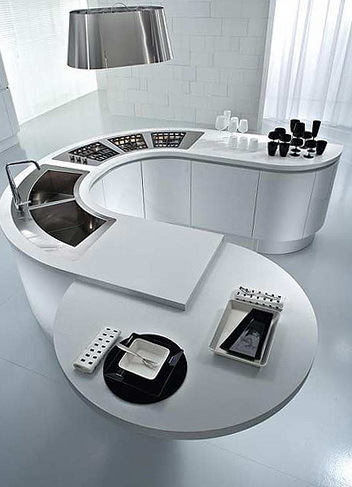 Only you can decide what kitchen will become a kitchen of your dream. 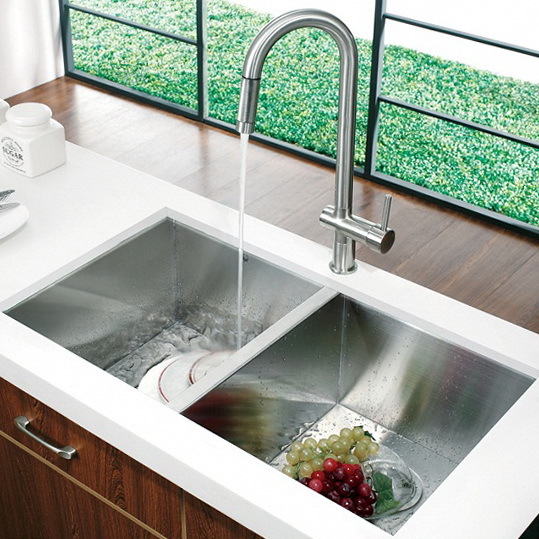 The style of the kitchen is a reflection of taste and style of the owner. 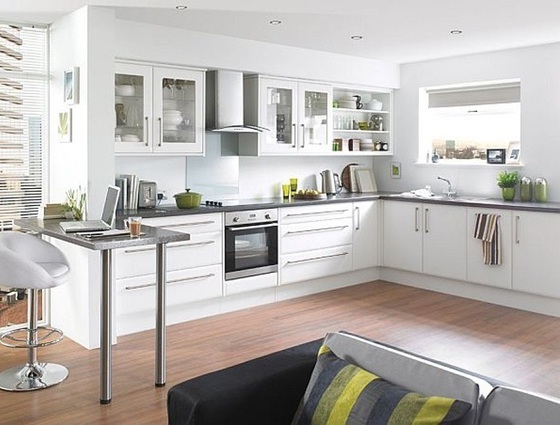 Making kitchen in classical style, choosing style of a retro or modern is your personal choice. White kitchen is undoubtedly light and cozy. 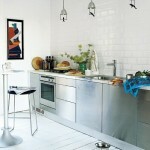 White color visually expands space. 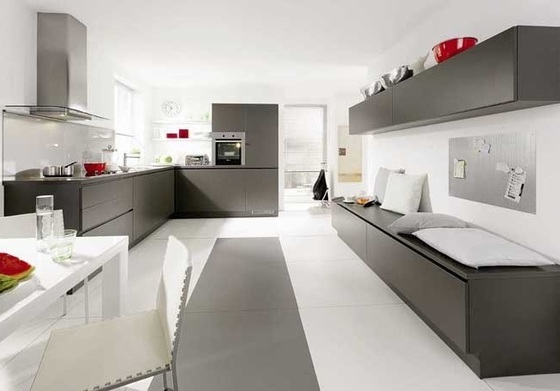 Black-and-white kitchen is an elegant and classical decision, it looks strictly and accurately. 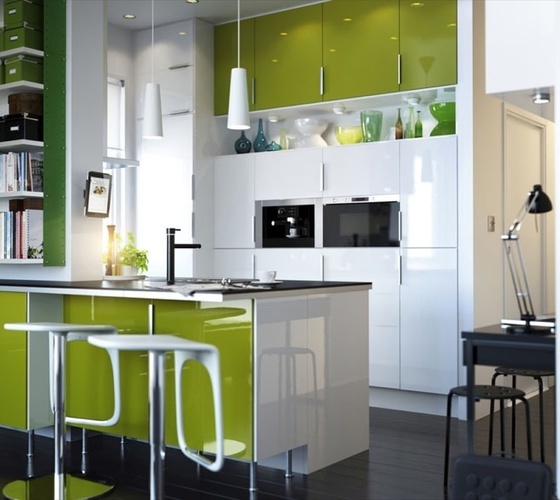 The kitchen of bright colors is more courageous choice but if you aren’t afraid of excessive brightness you can make your kitchen green or red, for example. For some owners the coziness of kitchen is defined by a furniture minimum on it. 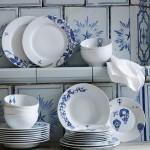 For example there are people who consider what even the dining table will be superfluous in the kitchen. If to put only necessary household appliances and to replace a dining table with a bar counter in the kitchen, it will be more space certainly. The kitchen becomes lighter and cozier. 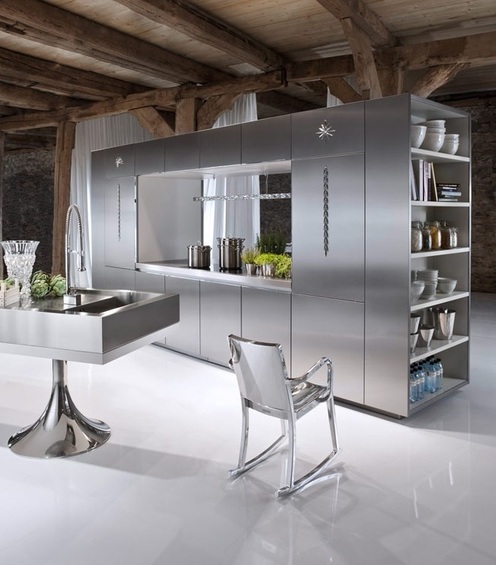 However if the furniture in the kitchen is picked up correctly, corresponds to the main style, it won’t disturb precisely. The accurate bureau from a natural tree will perfectly fit into an interior. 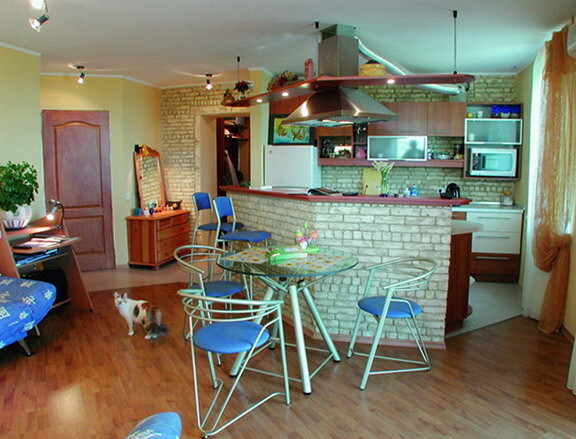 Especially it is possible to put a teapot, a microwave oven or any necessary things on it. And the dining table may be not big. 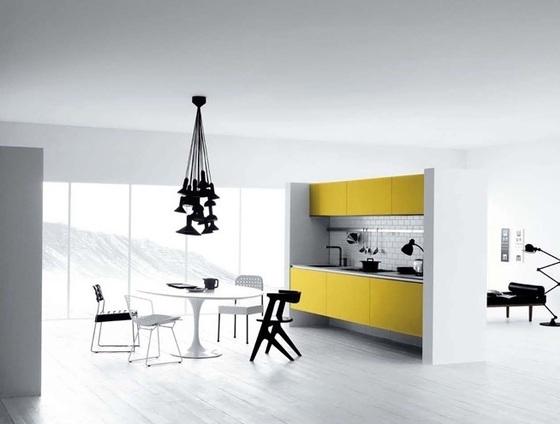 If the table and chairs have also an unusual form or an original color score, it only will emphasize identity of your kitchen. 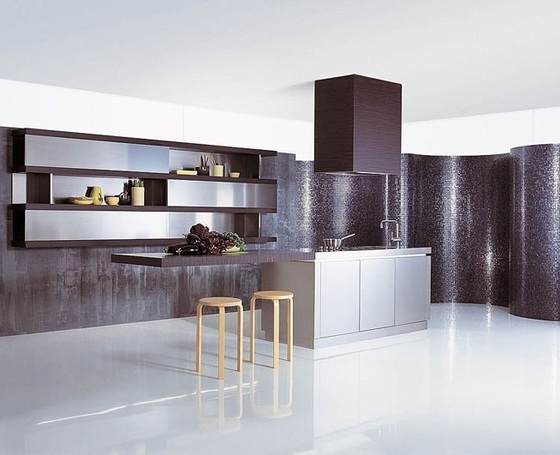 In modern kitchen interior design the prior aim is to achieve high functionality and comfort, when everything is not only handy but also meets the needs of modern man. Cozy kitchen is a comfortable one where all things are on their places. And of course it is the one you really like.